It looks like the carbuying game is changing. If this is a sign of things to come, shady car salesman days may be over. Want a 2018 Hyundai Sonata? Looks like you may not even have to leave the comfort of your own home to make things happen. Hyundai just announced what's known as Shopper Assurance, a new program whose goal is to bring the rather antiquated car shopping experience into the 21st century. aimed at improving and modernizing the customer experience. 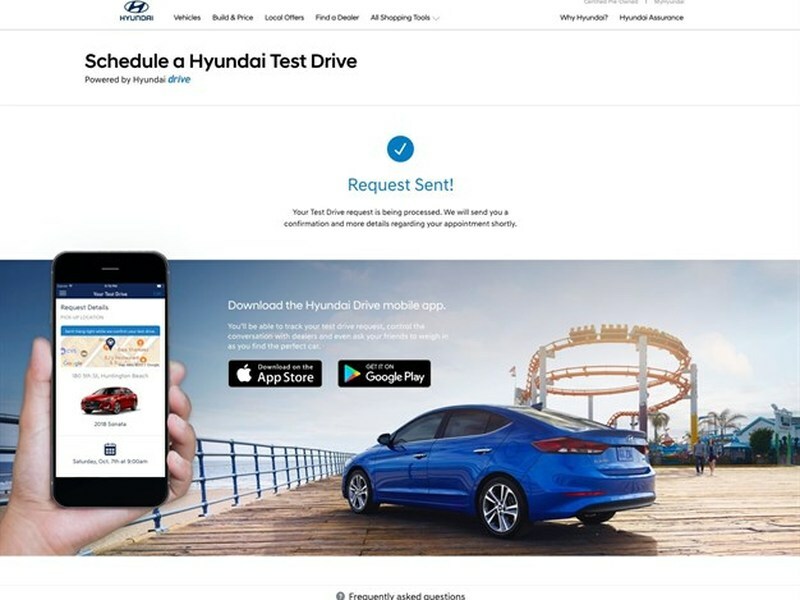 Hyundai believes that most car shoppers are frustrated with the current process, and the proof is in the pudding, according to a recent survey that shows most car shoppers want to conduct part of the deal online. The Shopper Assurance program allows participating Hyundai dealers to post "fair market pricing" (which is essentially the vehicle's MSRP minus incentives and dealer discounts) directly on their websites. The idea behind this is to reduce the time it takes to negotiate a price. It provides some degree of transparency, though it doesn't show dealer profit or invoice price. The most important part of the program, in our opinion, is that potential car buyers can schedule a flexible test drive that doesn't involve going to the dealership and getting hassled. This part can be scheduled via the dealer website or dedicated app. Customers can also take advantage of flexible test drives, which can be arranged via the dealer's website or a dedicated app. Customers have the freedom to choose the test-drive location, and the car will be brought to you. After that, if you want to buy the car, you can complete the paperwork online before you head to the dealership to finish. This way, you don't have to take time at the dealership while the salesperson or F&I dept stares at you for an hour. Everything from applying for credit, calculating monthly payments, or getting your trade-in valued can be done from your desk. What's more, there's even a three-day/300-mile buyback period to return the car (no questions asked) for a full refund. How's that for brilliant? "We expect this to be a differentiator, as our research showed that 84 percent of people would visit a dealership that offered all four features over one that did not," stated Dean Evans, Hyundai Motor America marketing chief. The program will start off in Miami, Orlando, Dallas and Houston before going nationwide by early 2018.